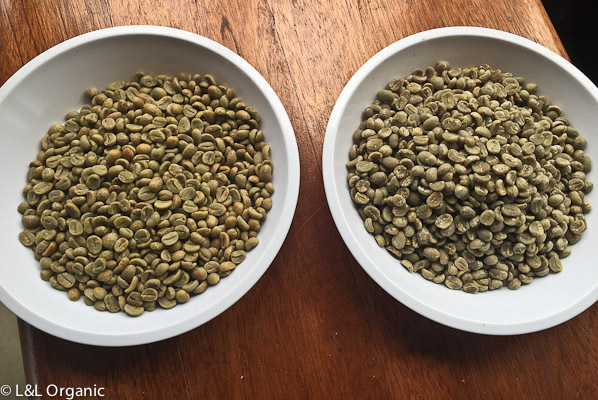 All of our Specialty Grade Arabicas are Single Origin from Simalungun, North Sumatra and are available for purchase in Indonesia and internationally. Please contact info@lisaandleosorganic.com with your requests. All of our farmer collective coffees are sourced from our home sub region of Pematang Purba [translates to Ancient Territory] and home village, Huta Raja [translates to King’s Village]. We have been working with three primary farmer group leaders for a few years to develop this collective. Visit the Huta Raja Collective tab for more of the back story and complete details of each micro lot. Micro Lots processed with the sorted cherry from our dry natural or double washed premium selections. These Underdogs aren’t going to get high marks for physical, but if you’re looking for a great tasting, affordable option for a Dry Natural or Fully Washed micro lot, give one of these a try this season. Available now as roasted to order only. Please visit the Roasted Beans tab for availability and shipping information. All of our USA spot sale coffees are packed in 60 kilo Grain Pro lined jute bags. Minimum purchase is 60 kilos. Contact Georgia at jojabeans15@gmail.com within the USA only for Sample requests and details or info@lisaandleosorganic.com. Joja Beans is located on the East coast.Current Crop available now.